I've been looking at various AFR meters to do on-road tuning of a Jaguar V12 XJ-S with a Wolf EMS system - do I need a wideband meter like this www.wbo2.com or will the cheaper narrow band meter like theSilicon Chip ones in the AutoSpeed store work just as well? 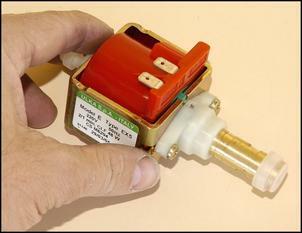 We strongly advise a wide-band AFR meter for this type of application. Can you give us an idea of what the up and coming Ignition Timing Adjuster will be all about?It sounds very tasty. Keep up the good work. Nothing has been finalised as yet, but stay tuned! Do you know the thread size of the discharge pipe of the "Ulka" pump that was used in the "World's Best Intercooler Water Spray"? I'm here in the States trying to get a hose to fit the outlet and I think it might be a straight metric thread. Any help will be appreciated. Trial and error is the best way to achieve your desired boost characteristics. However, as a guide, in the article Killing Wastegate Creep we used a reservoir having a capacity of around 250cc. I have a general query re two articles by Julian Edgar. In around October 2000 he described a boost control system called the "Audi Boost Control", which seemed a good system to build and which was described as being superior to most electronic systems. He now describes an electronic controller that can be purchased in Do-It-Yourself form. My question is: Under what conditions should one system be chosen over the other? What are the pros and cons that we should consider before building ONE of the systems? Total cost is around AUD$140 and it’s a bit more challenging to set up – not one for beginners! In any case, we suggest that you stick around – we have a two-part series on boost controllers coming up! Re Testing the Davies Craig Electric Water Pump... Can you give me a hint - was it no good? I was going to buy one but now I'm worried. Unfortunately, we are unable to give any information relating to our tests. We suggest asking if the retailer will give a money-back guarantee if the product doesn’t live up to its claims. I was interested to read about the BMEP (Brake Mean EffectivePressure) method of comparing engine power outputs – re The Real Way of Comparing Engine Designs. The Honda TypeR BMEP seemed impressive until I calculated the value for the VW Golf Mk4 turbodiesel - 112kW from a 1.9-litre engine at 4200 rpm gives a BMEP of 16.95! I wonder if any turbocharged petrol engines can compete with that? If there were an equivalent measure of specific torque production I imagine the VW would be even further ahead, with 320Nm of torque from 1.9 litres. Re Badge Engineering... It might be interesting to observe that there is another connection between two of the cars mentioned in this article. 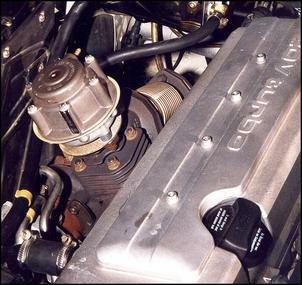 The SAAB 900, powered by the GM V6, was built on a similar platform to the contemporary Vauxhall Cavalier, which in turn was substantially carried over from the previous model. 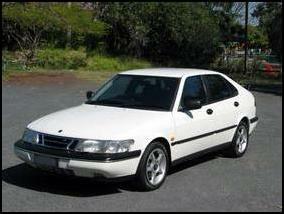 This previous model was sold in Australia, with some local engineering input, as the Camira. Also, I believe that there is a minor error in the article - JE Camiras were equipped with a 2.0 litre engine only. You’re right – correction now made.